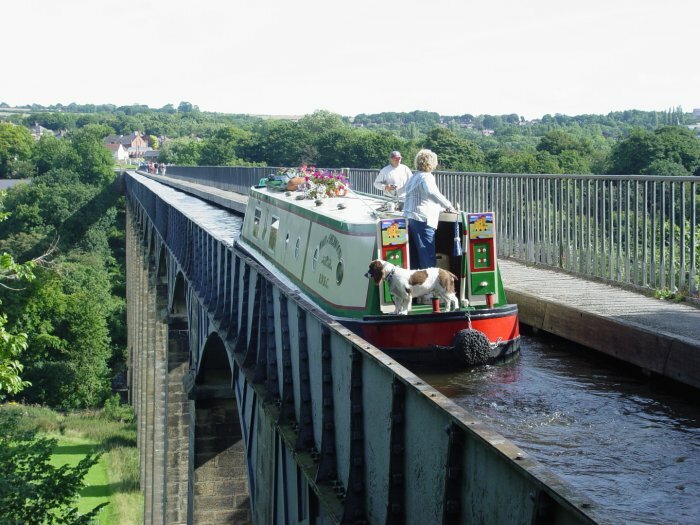 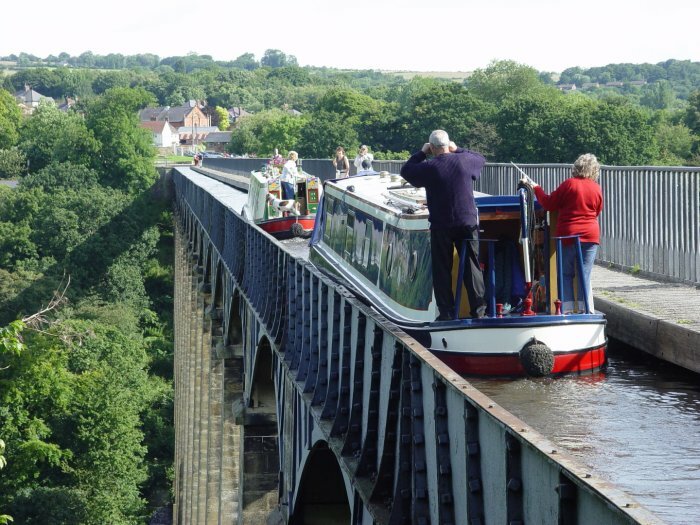 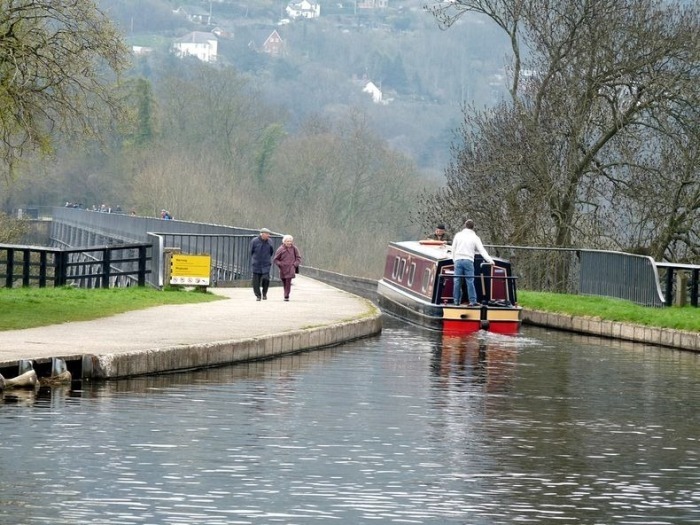 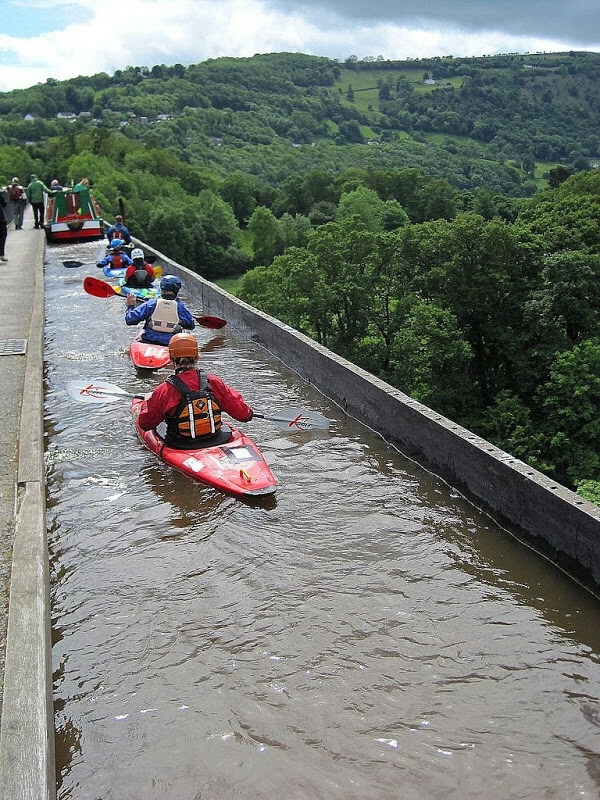 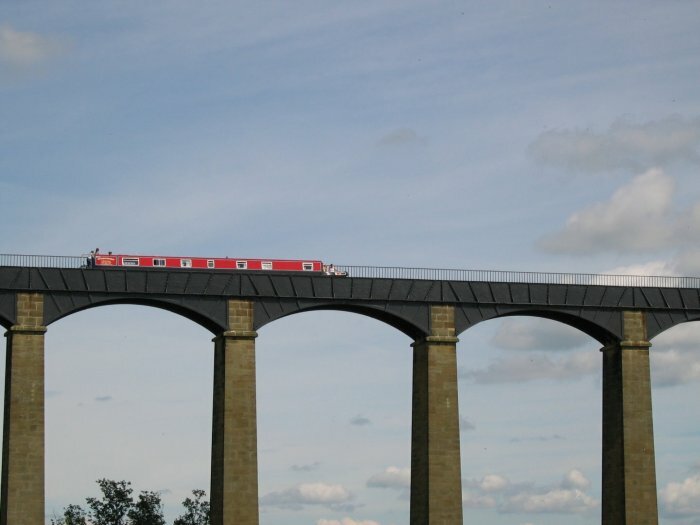 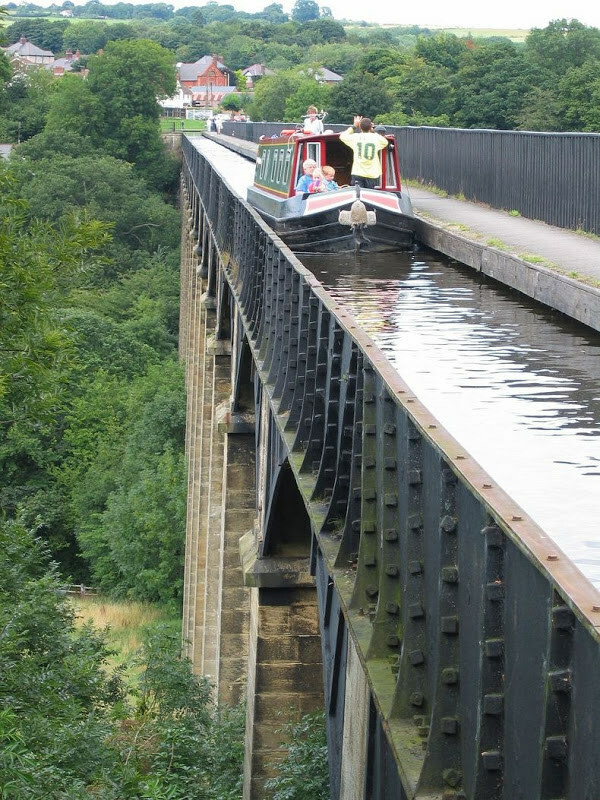 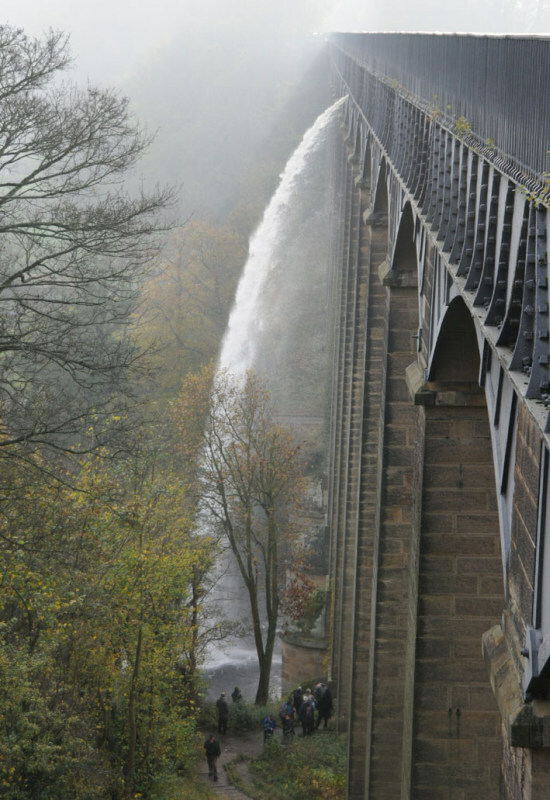 The Pontcysyllte Aqueduct is an aqueduct that carries the Llangollen Canal over the valley of the River Dee in Wales. 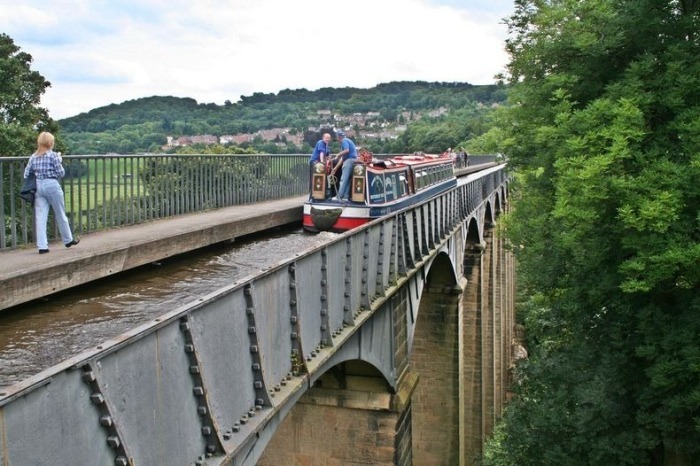 It was finished in 1805 and has since become a World Heritage Site and a popular tourist attraction. 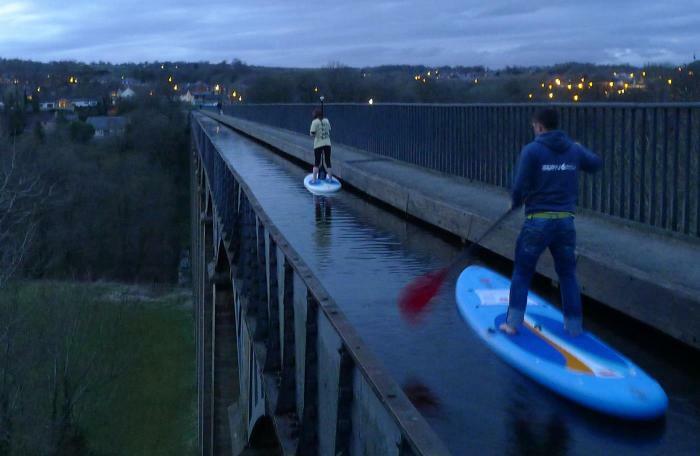 I would not have the courage.